Celtic Pride Premium Beef Scheme producers have received a double dose of good news with the unveiling of new research into the health benefits of grass fed beef and exciting export plans. 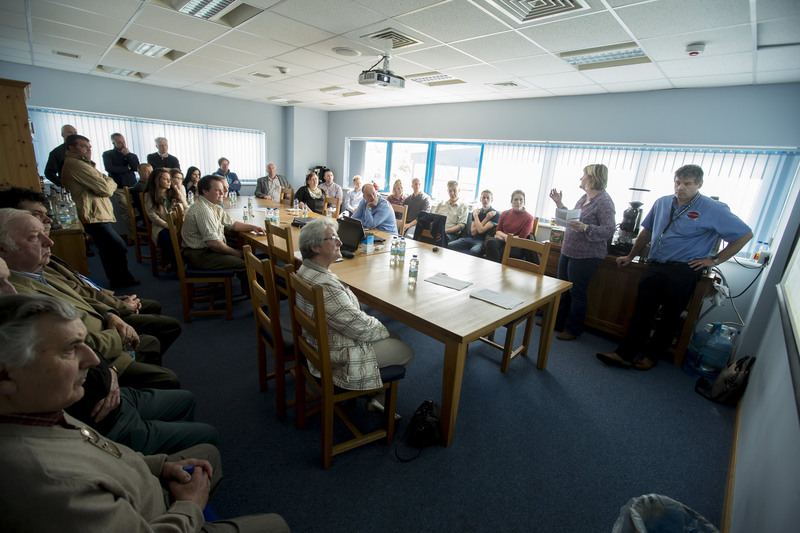 Thirty farmers met at Celtica Foods in Cross Hands for their annual supplier meeting and tour of the £5m state-of-the-art butchery, part of the Castell Howell Foods complex. 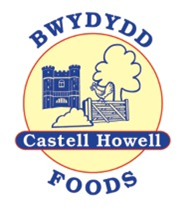 Working partnership with The Welsh Livestock Company, Wynnstay Group and Aberystwyth University, the Celtic Pride Premium Beef Scheme was launched in 2003 by Castell Howell and has grown to become Wales’ leading beef brand. The meeting featured a number of key presentations, which outlined exciting developments for Celtic Pride and its suppliers. Among them were the results of research carried out by Dr Sara Morgan of IBERS into using grass fatty acids to improve beef quality. Celtic Pride has partnered Aberystwyth University in a three-year study into levels of poly and unsaturated fats, Omega 3 and Omega 6 fatty acids in meat finishing systems. Dr Morgan concluded that grass fed beef – such as produced by Celtic Pride suppliers – showed significantly higher levels of Omega 3* and polyunsaturated fats compared with cattle finished on other diets. There was good news on the market front too, with Martin Blackwell of Colchester-based Direct Meats telling the farmers of “ambitious plans” to increase sales of Celtic Pride Beef to premium catering establishments in the South East. Mr Blackwell highlighted of the importance of building a brand to achieve a “unique selling proposition”, and revealed that “imminent approval” is pending for plans to export Celtic Pride Beef to Singapore. There was also a presentation from Pip Nicholas of IBERS about the ‘Cantogether Project’, which through sharing best practice across Western Europe aims to address the challenge of limited natural resources climate change and increased demand for food. Celtic Pride director and meat technology consultant, Tim Rowe said, “The meeting was both productive and positive, demonstrating the value of partnership between the stakeholders in the scheme. Celtic Pride has and will continue to evolve to promote sales in the South East of England and beyond. 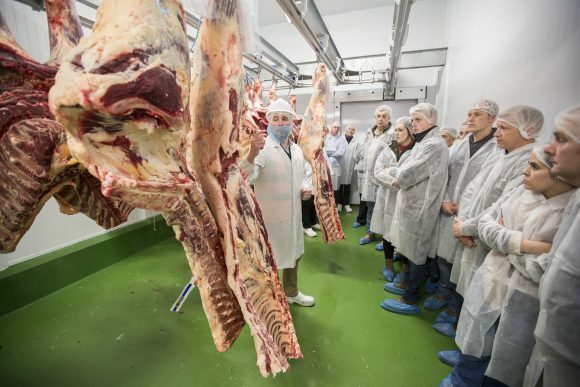 Producers were also given a tour around the purpose-built Celtica Foods butchery, which covers 31,000 square feet and houses all of Celtic Pride and Castell Howells’ meat processing activities. Celtica Foods managing director, Edward Morgan highlighted the variations on carcase weight and their implications on steak sizes. The visitors saw three hindquarters – light (280kg), medium (335kg) and heavy (400kg). The carcasses were subsequently boned out and cut into 1inch thick steaks, and ranged in weight from 200g to 420g. However, they were told that variations such as these are not generally welcomed by chefs. On display too were examples of a ‘hip bone’ hung carcase – a method that gently stretches and manipulates the muscle fibres to produce even higher quality primal cuts for steaks. * Omega-3 is an “essential” fatty acid, which is necessary for human health, but which cannot be made by the body. Celtica Foods’ Edward Morgan showed the Celtic Pride producers around the state-of-the-art butchery facilities at Cross Hands. Celtic Pride producers were given important updates on nutrition and markets. 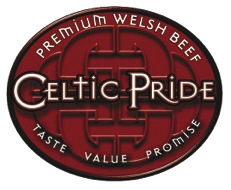 Celtic Pride is Wales’ leading beef brand to the hospitality and foodservice sector, and was launched in 2003 to meet the need for a premium beef brand that offers both consistency of supply and consistency in quality.